I’ve noticed that many people read books inattentively. They do it so inattentively that they even miss the coloring episodes. I am not of those ones, I read books in a right way trying to not only perceive the actions but also feel things characters felt, to see the environmental colors in the way their eyes did then. Indeed in books there are not only heroes, developments and culminations, but also some perfect descriptions of the times that books lived in. For example, the books written by folks from the “Lost Generation” are full of colorful descriptions of entertainment places such as cafes, restaurants, clubs. And that places which used to hug both the authors and created by them characters, were not just places only to eat and drink in. That hugs had their own aura, mood and state of mind. I introduce the 5 dreamed by me entertainment places, which are described in books I read in that right way. Till today they work and color both their residence and clients. 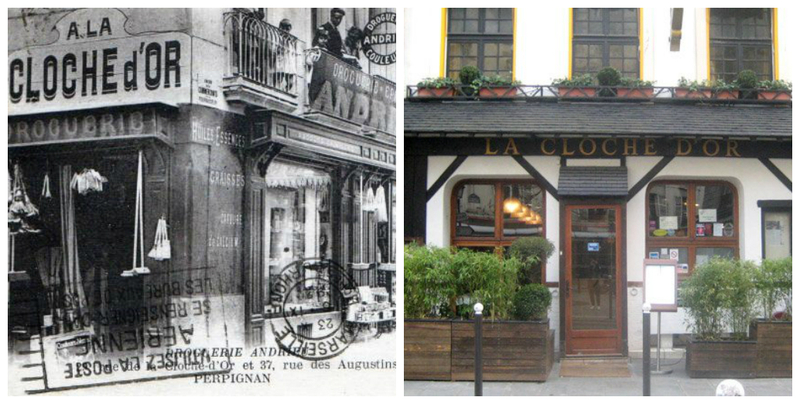 In “A Movable Feast” by Ernest Hemingway there is thoroughly described the Parisian restaurant “La Closerie des Lilas”. By the way at one of that tables Hemingway wrote and worked out his famous “Feast”. “... 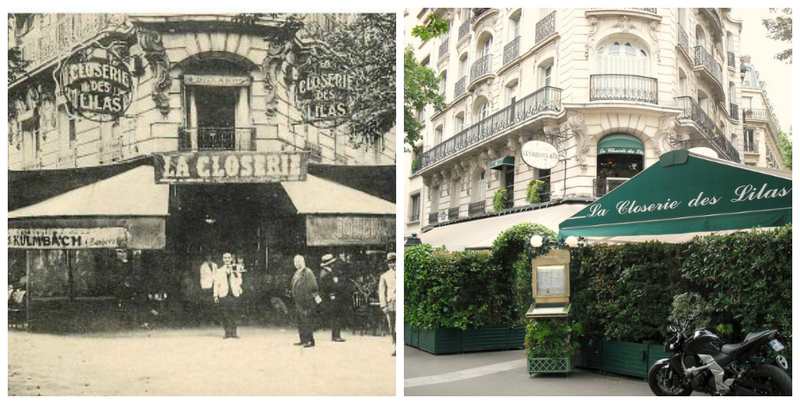 The Closerie des Lilas was the nearest good cafe when we lived in the flat over the sawmill at 113 rue Notre-Dame-des-Champs, and it was one of the best cafes in Paris. It was warm inside in the winter, and in the spring and fall it was very fine outside with the tables under the shade of the trees on the side where the statue of Marshal Ney was, and the square, regular tables under the big awnings along the boulevard. Two of the waiters were our good friends....”. “...The Closerie des Lilas had once been a cafe where poets met more or less the last principal poet had been Paul Fort whom I had never read...”. Where did the memories drown? 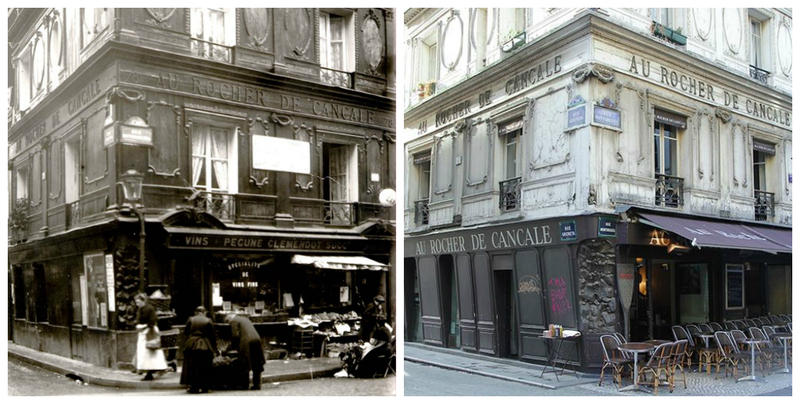 The Parisian restaurant Au Rocher de Cancale is described in details in “Lost Illusions” by Honore de Balzac. “...The dinner at the Rocher de Cancale was exquisite. All Florine's supper guests were there except the Minister, the Duke, and the dancer; Camusot, too, was absent; but these gaps were filled by two famous actors and Hector Merlin and his mistress. This charming woman, who chose to be known as Mme. du Val-Noble...”. “...Vignon betook himself to the Rocher de Cancale to drown memory and thought in a couple of bottles of Bordeaux...”. In “Arch of Triumph” by Erich Maria Remarque there is introduced the Parisian restaurant A La Cloche D’Or with very drab colors. “...Two hours later Ravic was sitting in the Cloche d'Or. The place was still rather empty. Whores sat at the long bar, like parrots on a perch, chattering. Near them several peddlers of fake cocaine stood around waiting for tourists. In the room upstairs, a few couples sat and ate onion soup. In a corner, on a sofa, two Lesbians whispered together drinking sherry brandy...”. Where do the residents go? 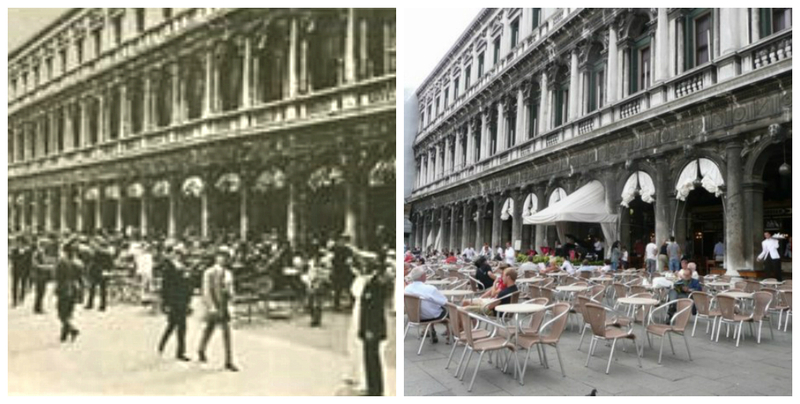 The book named “The Aspern Papers” by James Henry nicely describes the Venetian cafe called Caffè Florian and the love coming from the city. “... I sat in front of Florian's cafe, eating ices, listening to music, talking with acquaintances: the traveler will remember how the immense cluster of tables and little chairs stretches like a promontory into the smooth lake of the Piazza...”. “... We sat down at last in the crowded circle at Florian's, finding an unoccupied table among those that were ranged in the square. It was a splendid night and all the world was out-of-doors...”. Who was the holy in the club? There’s an episode in Jerome Salinger's “The Catcher in the Rye” which tells about the “holy” guy playing the piano. 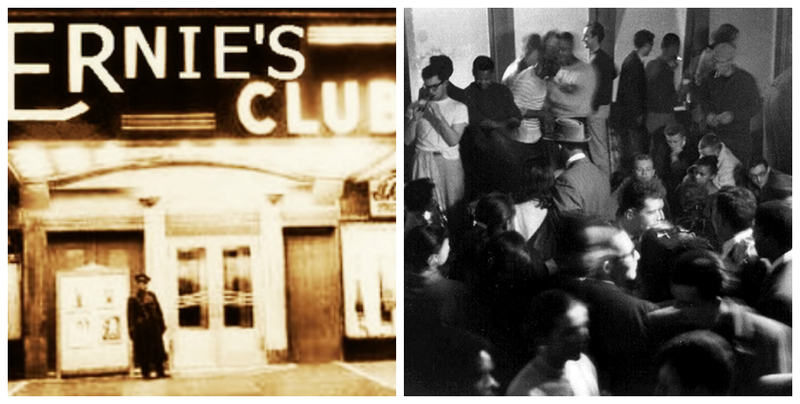 “…Even though it was so late, old Ernie's was jampacked. Mostly with prep school jerks and college jerks. Almost every damn school in the world gets out earlier for Christmas vacation than the schools I go to. You could hardly check your coat, it was so crowded. It was pretty quiet, though, because Ernie was playing the piano. It was supposed to be something holy, for God's sake, when he sat down at the piano. Nobody's that good…”. P.s. In fact, all these places preserved till today, the minimal changes in their interior are for giving people the aura and mood of that times. The only exception is Ernie's which unfortunantely does not exist.